2015-17. 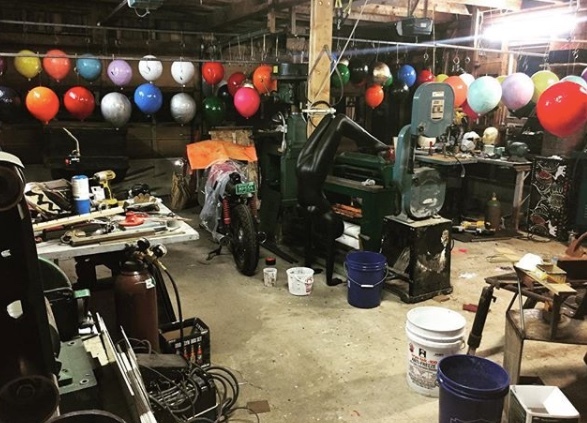 Fiberglass, Paracord, Steel, Vintage Tractor Seats. Burlington International Airport, Burlington, VT. 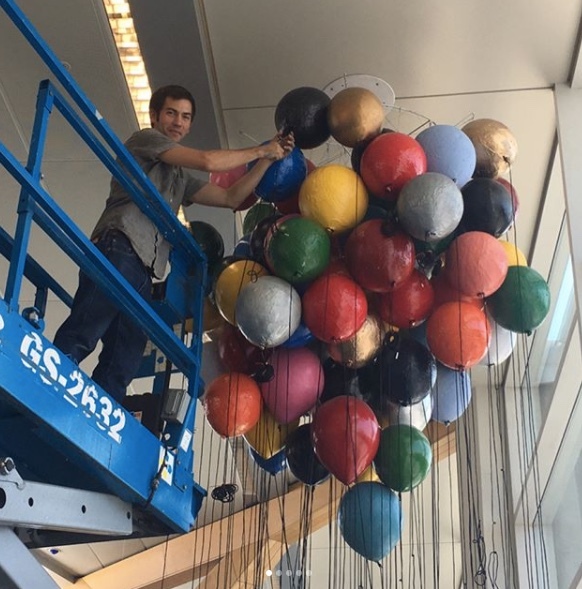 Featuring 146 vibrantly colored fiberglass balloons that appear to lift the seated traveler into the air, Andiamani was commissioned by the Burlington International Airport. The intention was to set travelers at ease with a playful take on air travel.